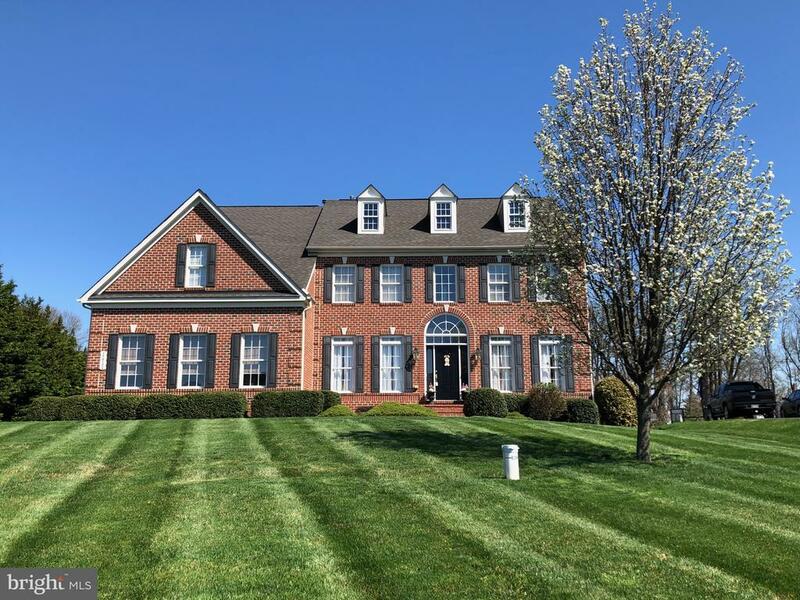 All Fallston homes currently listed for sale in Fallston as of 04/23/2019 are shown below. You can change the search criteria at any time by pressing the 'Change Search' button below. If you have any questions or you would like more information about any Fallston homes for sale or other Fallston real estate, please contact us and one of our knowledgeable Fallston REALTORS® would be pleased to assist you. "This beautiful home sits on over 5 acres along with a second structure with two stories and a basement. Along with the house and second structure, is a shed. The house consist of 4 bedrooms that all have their own full bathroom. The master bedroom has a sitting room along with his and her closets, toilets, and sinks. The entry way has marble flooring with a three-tier chandelier set on a winch for lowering and raising. Also, there is a beautiful sun room with large windows and detailed flooring. The kitchen has gorgeous granite counter tops and a large island. There is a laundry room and tall closets set off the kitchen. A formal dinning room and living room are also on the main level of the home , with two half-bathrooms on opposite sides. To complete the home, there is a finished basement with a full bathroom on the lower level and a three car garage. The second structure on the property consist of two stories along with a basement . There is a kitchen on the main level and a two car garage. A shed also comes along with this property. The structures on this property are all brick and were built by the Chavis Construction Company. 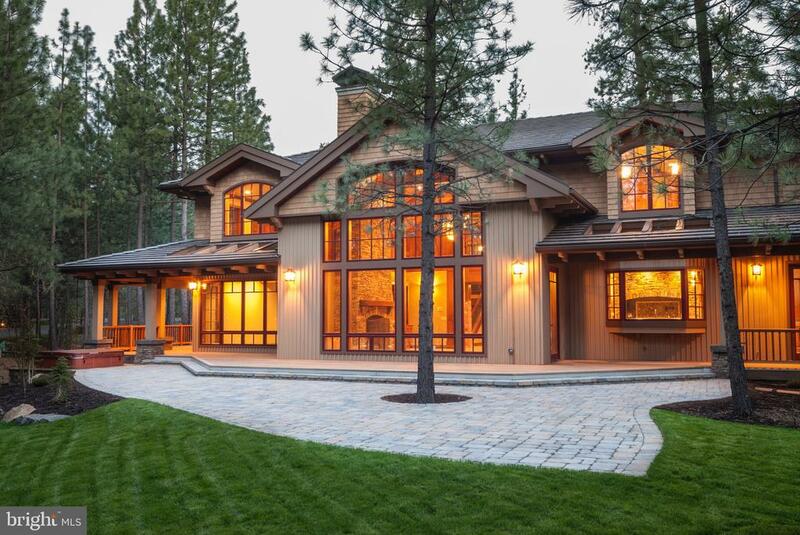 This company has been building quality custom homes for over 40 years." "ON THE MONKTON LINE IN BEAUTIFUL HORSE COUNTRY IS THIS RENOVATED AND EXPANDED HOME CALLED FOX HUNTER'S LODGE c1905 IS NESTLED ON 20 PRIME ACS IN FOX HUNTING COUNTRY OF MONKTON*TRAVEL THE Semi PRIV LANE TO A PILLARD ENTRANCE OF THIS PICTURESQUE RETREAT WITH BREATHTAKING VISTAS.A RENOVATION&EXPANSION OF A 20'X30' TIMBERED GREAT ROOM WITH CHESTNUT FLRS OPEN TO ENGLISH STYLE SS KIT,STONE PATIOS,POOL&WATERFALL,6 BRS 3/2 BA,2 OFFICES,BARN,GUEST APT,6 CAR GAR&POND-20 MIN -TOWSON/HUNT VALLEY"
"Great opportunity to purchase 3 separate parcels. Sale includes a 1.9 acre building lot with small storage building zoned VB and VR, a 1.9 acre lot with a 4 bedroom 3 full bath bi-level and a 66 acre parcel in Ag preservation. Total acreage is 70 for the three parcels. House is in excellent condition with 3 bedrooms and 2 full baths on the main level and an additional bedroom and bath on the lower level. Attached two car garage." "Let Creative Home Co. build your dream home on this beautiful lot in Fallston! 2 acres of quiet country living. Choose from the Visionary floorplan or many other models or bring your own. 4 bedrooms, 2.5 baths, beautiful master suite with private bath.At Creative Home Co. they start with what matters most to you. Custom means no compromises. It means coming home every day to a house that reflects who you are and how you live. Creative Home Co. blends forward-thinking ingenuity with time-tested artistry. Known for their relentless innovation, meticulous attention to detail and exacting standards of construction, they have earned a reputation for exceptional quality and unparalleled service. Creative Home Co. prides itself on working with passion and precision to transform your vision into a place of enduring happy memories. Their highly personalized approach is among the many things that sets Creative Home Co. apart from other builders.Creative Home Co. ~ Live outside the box. Photo is representative of available options and offerings." "An exceptional property offering truly stunning details in every room. If you wish to entertain or relax at home this home has the space, character and warmth to suit any taste. The latest in trending lighting fixtures and other refined features that make a bold statement. Four bedroom, four and one half baths, all bedrooms with an en-suite bath. Amazing lot, views and stunning curb appeal. No detail has been overlooked from the grand two story foyer through every room of this home. Jaw dropping custom white oak hardwood flooring throughout most rooms and white oak wide plank flooring in the conservatory. Exquisite finishes throughout including a recently remodeled powder room with marble flooring, vanity, hardware, marble sink top, shiplap and lighting. Entire home has been freshly painted in neutral tones, extensive crown, picture frame and chair rail molding. Main level study, two-story family room just off the spacious and sun-filled kitchen. Abundant cabinet and counter space along with a large center island. A sizeable and convenient mudroom is located just off of the kitchen pairing nicely with a separate laundry room. The private master suite blends sophistication and tranquility mixed with lovely architectural details. A sitting room, 2 large walk-in closets, his/hers vanity area, large soaking tub, separate shower and 2 water closets. All exterior lighting has been updated, newly installed garage doors, trim, the front portico has been replaced along with all exterior and interior hardware. The list of updates in this home is extensive. A one of a kind home." "Let Creative Home Co. build your dream home on this beautiful lot in Fallston! 2 acres of quiet country living. Choose from the Daydreamer floorplan or many other models or bring your own. 4 bedrooms, 2.5 baths, beautiful master suite with private bath.At Creative Home Co. they start with what matters most to you. Custom means no compromises. It means coming home every day to a house that reflects who you are and how you live. Creative Home Co. blends forward-thinking ingenuity with time-tested artistry. Known for their relentless innovation, meticulous attention to detail and exacting standards of construction, they have earned a reputation for exceptional quality and unparalleled service. Creative Home Co. prides itself on working with passion and precision to transform your vision into a place of enduring happy memories. Their highly personalized approach is among the many things that sets Creative Home Co. apart from other builders.Creative Home Co. ~ Live outside the box. Photo is representative of available options and offerings." "Welcome to Alison's Ridge -7 Large Estate Size Homesites to choose from, with 6 models offered from 3350 sq ft to 4340 sq ft, or build from your own plans.Conveniently located in the Heart of Fallston-- Home shown is to be built - Call today to get started with your new home build!" "BUILDER CUSTOM SPEC HOME AVAILABLE FOR QUICK DELIVERY on BEAUTIFUL 3+ ACRE LOT ! Handcrafted with Extraordinary Detail this ADAMS 2 CRAFTSMAN MODEL built by GREENSPRING HOMES features 4 Bedrooms + 3.5 Baths & 3580+ finished square feet + full basement with walk-out and tons of upgrades throughout. Functional Living Design w/Dual Staircase, Gourmet Kitchen w/island, spacious eat-in /breakfast area, walk-in pantry, beverage bar w/cooler, double wall ovens,cooktop & SS Appliance Package. Opens to Huge Family/Great Room w/Gas Fireplace. Main Floor Mudroom off 3 Car Garage. Separate Dining Rm and Study/Playroom on Main Lvl too. Upper level features: Master Suite w/2 Walk-in Closets & Luxury Garden Bath, Convenient Laundry, Bedroom suite with private bath and 2 Additional large bedrooms with 3rd full bath. There's still time to add some of your own selections and finishes ! $ 10,000 cash incentive towards closing or off options/price if you use builders preferred partners for lender/title." "THIS PROPERTY TRULY HAS IT ALL! 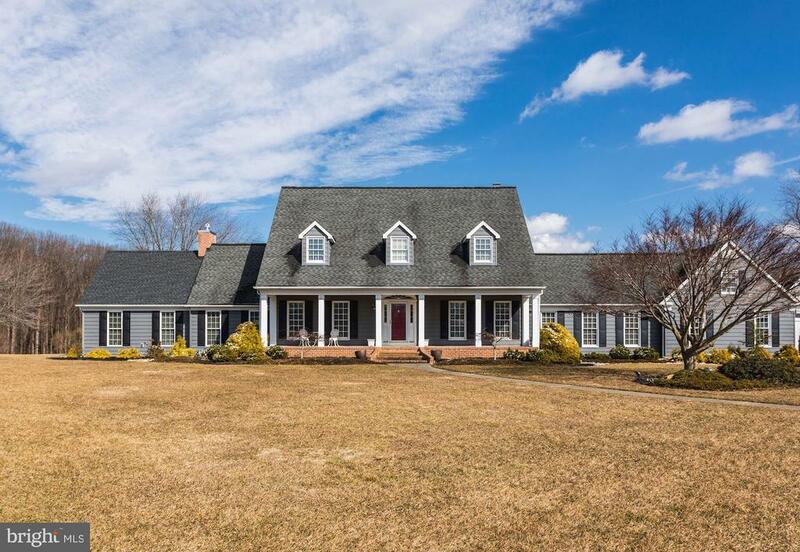 LOVELY 4 ACRE 4200+ SQ FT ABOVE GRADE CAPE COD EXEMPLIFIES A SPRAWLING SOUTHERN LIVING FLAIR. WELCOMING FRONT PORCH. 3 CAR SIDE LOAD GARAGE AND ADDITIONAL DETACHED 3 CAR GARAGE WITH FINISHED ROOM ABOVE. SPACIOUS COMFORTABLE LIVING THROUGHOUT. HARDWOOD FLOORS. EAT-IN KITCHEN OFFERS CHERRY CABINETS, GRANITE COUNTERS, ISLAND, PANTRY, 2 SKYLIGHTS. FORMAL DINING ROOM. COZY AMBIANCE IN THIS FAMILY ROOM HAS A BRICK FIREPLACE WITH RAISED HEARTH & PELLET INSERT, 3 SLIDERS LEADING TO COMPOSITE DECKING. 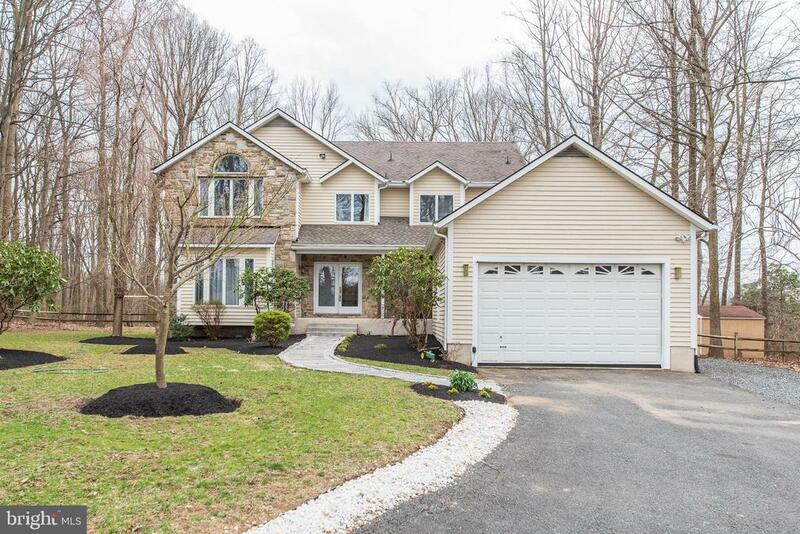 SPECTACULAR MAIN LEVEL MASTER SUITE HAS 2 WIC W/CUSTOM ORGANIZER, DOUBLE SIDED GAS FIREPLACE, SITTING ROOM W/VAULTED CEILING, SKYLIGHTS, LUXE MASTER BATH. MAIN LEVEL LAUNDRY. 3 ADDITIONAL SIZABLE BEDROOMS, ONE WITH ATTACHED EN SUITE. FINISHED LOWER LEVEL RECREATION/GAME ROOM WITH WALK-UP TO REAR. AMPLE STORAGE. TAKE A DIP IN THE HEATED IN GROUND POOL OVERLOOKING PRIVATE & SERENE SETTING BACK TO THE GUNPOWDER. 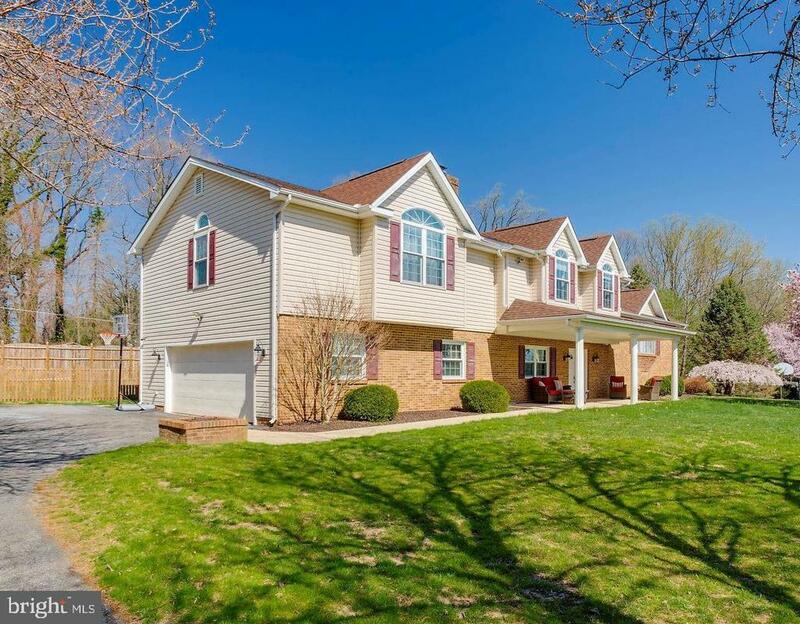 TERRIFIC LOCATION TO SCHOOLS, I95, AND BALTIMORE COUNTY. A MUST SEE!" "BROKER OPEN HOUSE - WEDNESDAY 4/24 - 12:00 - 2:00 @ This Stunning 5 Bedroom / 3.5 Bath Brick Front Colonial in Martin Meadows. This home is Meticulously Maintained and the Attention to Detail is Endless. This True Pride of Ownership is Simply Elegant starting at the Entry from it's Custom Colors, Gleaming Hardwood Floors, Open Rail Front/Back Staircase, Decorative Moldings, Gourmet Kitchen to include: Corian Counters, 42Solid Wood Front Cabinets, Island, Double Wall Oven, Cook Top & Walk In Pantry. Sun Room w/ Cathedral Ceilings, Family Room w/ Gas Fireplace, 1st Floor Bonus Room. 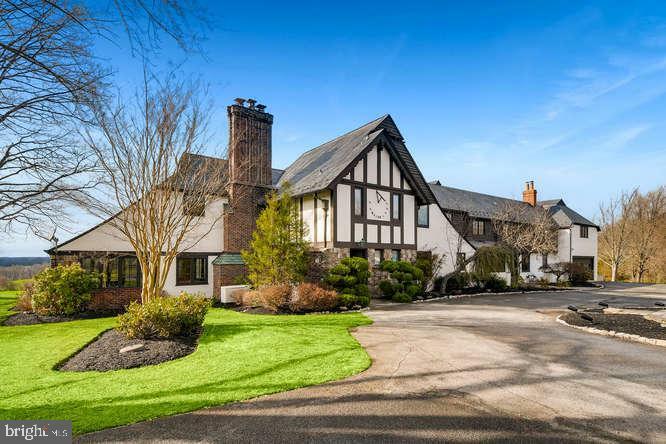 5 Full Bedrooms Upstairs to include the Grand Master Suite w/ Cathedral Ceilings, Sitting Room, Walk In Closet, Master Bath w/ Walk In Shower, Corner Soaking Tub, His/Her Vanities & Water Closet. Bed 2 w/ Walk In Closet & Bed 3 Being Large in size are joined by the Jack & Jill Full Bath with Double Vanity as Bed 4 & 5 w/ Walk In Closets also Share Their Own Full Bath. The full unfinished basement with rough in bath awaits your design but provides the Wide Welled Walk Up Exit that takes you to the Expansive Property Backing to Woods which offers a Great Entertainment Area for Family & Friends as well as a Tranquil Setting for All to Enjoy!!!" 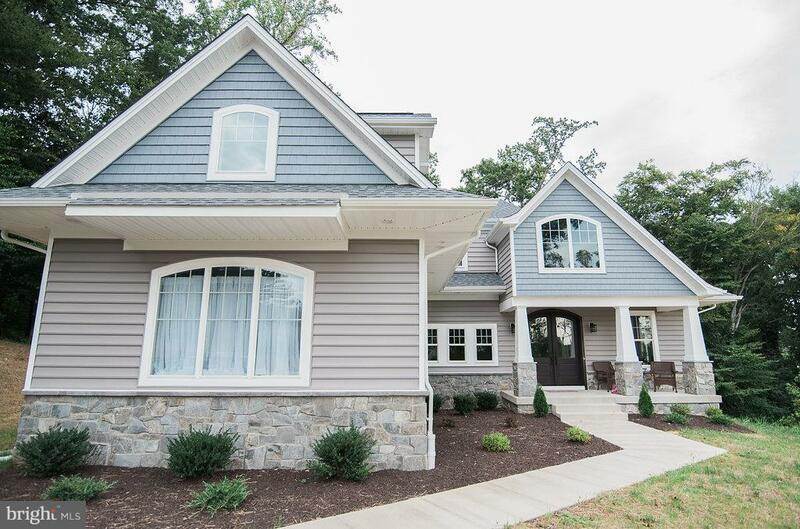 "Fully complete new construction by Battaglia Homes! 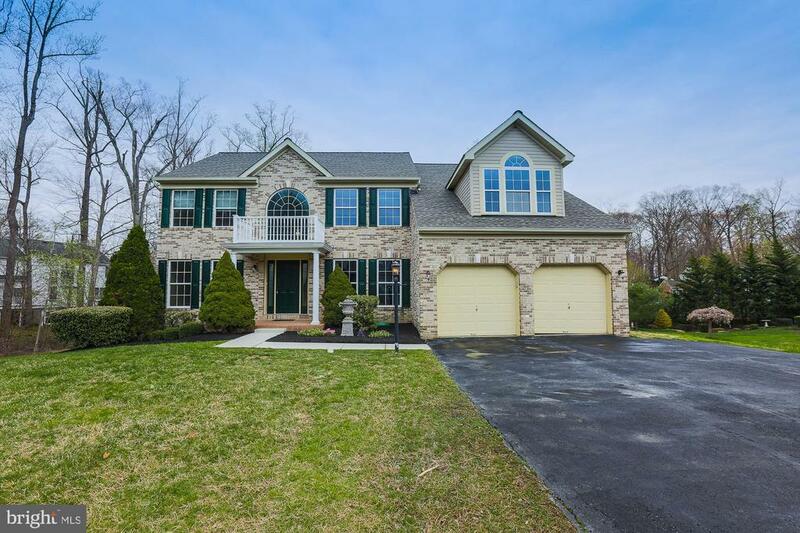 2 story foyer, open concept kitchen w/stainless steel appliances, gleaming hardwood floors throughout, 2 car side-entry garage, exposed beams, fireplace, pre wired for security camera, spacious rear deck, separate laundry, finished lower level and more!" "This spectacular 6 Bedroom home offers every amenitie possible that includes 4 FB ,1 half bath,2 Master Bedrooms one with fireplace plus 1st floor Fam/Rm with fireplace in addition to a fully equipped kitchen with 1 yr appliances ,Center Island plus atrium door to composite deck off Fam/Rm and Kitchen that overlooks your 12+ acre/two car garage plus a rear loading garage for ATV and mowers/car." "To be built! The photograph shown is a stock photo and not specific to this homesite. Other options and house types available." "Luxury, luxury, luxury! This is it! 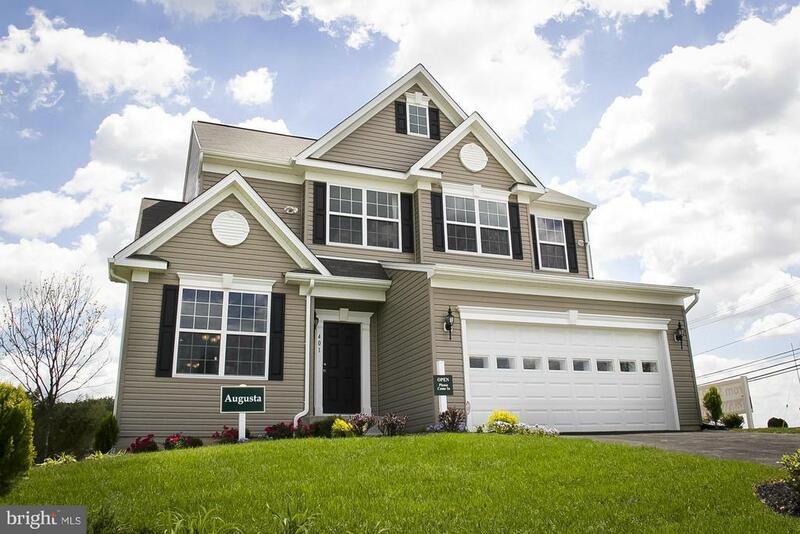 Finally, the model home is For Sale in the sought-out area of ~Hamilton Reserve~ in the heart of Fallston. This extraordinary Norwood model has all the bells and whistles including all the top-notch designer pics and upgrades! This is a Stunner! Enjoy upscale living in this home. Featuring 4 bedrooms, 4 ~ baths, with a fully finished level. 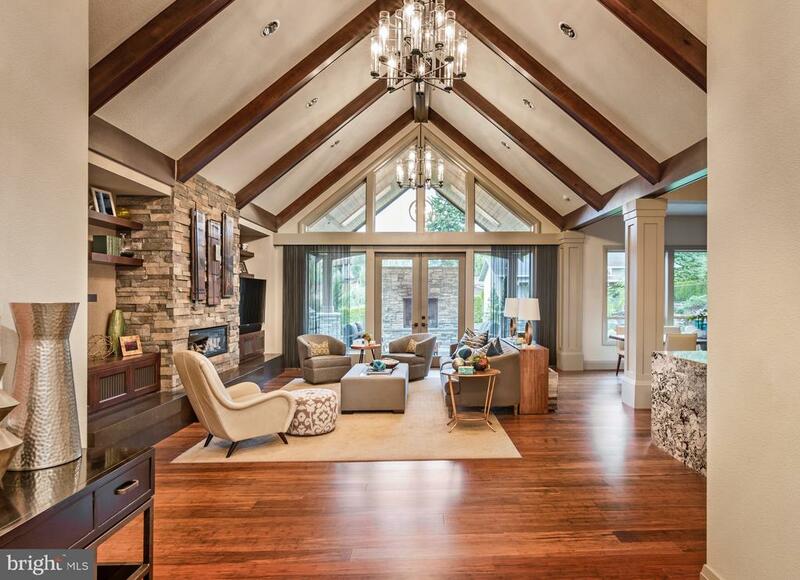 Walk into this open design that will sure blow you away! Enter in the foyer with hardwood flooring thru out main floor. Main floor offer a Formal living/Study, an enormous open gourmet kitchen with all the upgrades you can imagine, stainless steel appliances, huge island ,backsplash , breakfast bar that leads to the morning room with vaulted ceilings, atrium windows , sliding glass door which leads you to your own private deck. Off the kitchen you will find a huge family room with a fire place. Powder room* Staircase will lead to second floor where you will find 4 bedrooms and 3 full baths* Owners suite is incredible with coffered ceilings, plenty of room, walk in closets and luxurious master bath. The other 3 bedrooms will certainly please you in size, all upgraded carpet. 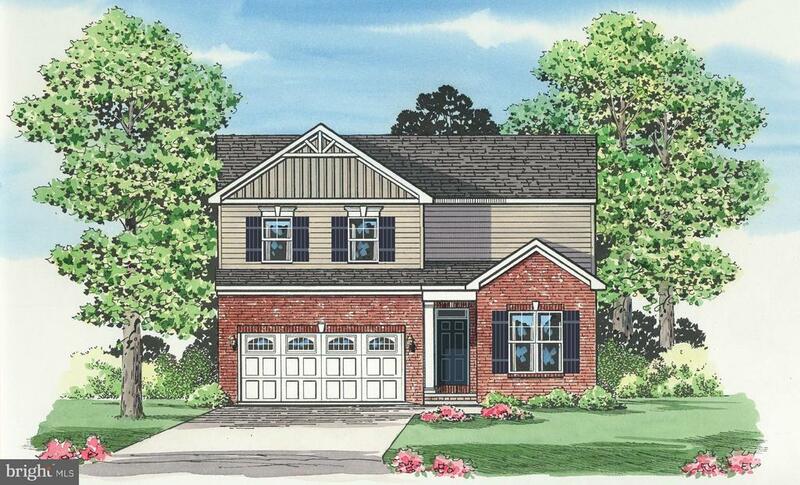 This Lennar model also offers a fully finished basement with a full bath, WOW! Home features WIFI Certified Home Design, Amazon Voice Activated Video Interface* WIFI controlled dimmer switch* From the moment you enter this home you feel the beauty and elegance of this home! Sales price includes incentives with the use of Eagle Home Mortgage & North American Title~, Agent must accompany first visit. Garage will be converted back * Just in time for Summer*"
"$100,000 in upgrades and renovations in the last nine months. This home is a dream come true, starting with gorgeous tree-lined driveway entering a 1.67 acre lot. Complete custom kitchen renovation in 2018, is the heart of the open layout main level. Kitchen features granite, custom design, fingerprint-resistance appliances. The home is spacious with 3,480 square feet plus lower level. New floors throughout. Large master with en-suite bath and custom owner's closet. Secondary bedroom also features an en-suite bath with double-sinks and skylight. All five bedrooms are spacious. Custom organizers in bedrooms. Additional family/recreation room with pellet stove, and bedroom/office. Fenced back yard surrounds in-ground pool, with new pool liner and pump. Large front covered porch, along with rear deck. Newer roof. New front doors. Heated/air conditioned garage. 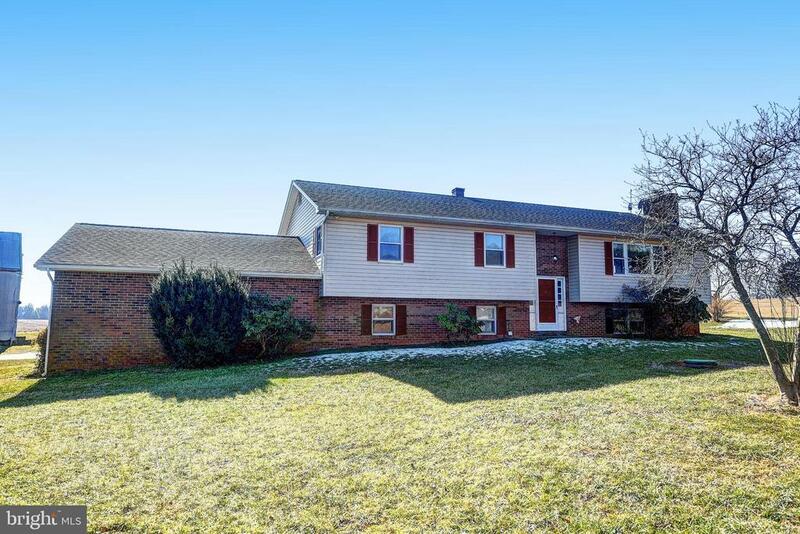 Amazing opportunity for Fallston schools in sought after Franklin's Chance neighborhood." "STUNNING 4 Bedroom 3.5 Bath BRICK front COLONIAL in Woodcrest sits at the end of a cul-de-sac * Features Include: LARGE kitchen with GRANITE countertops, island and SLIDERS leading to the sunroom * FABULOUS TWO story family room with WOOD stove * GLEAMING hardwood floors * chair rail * crown molding * FRESHLY painted throughout and some new carpet * BEAUTIFUL master suite on the 2nd floor * Office on main level * FULLY FINISHED basement with REC ROOM, GAS fireplace, DEN and FULL bath * DECK off first level leads down to large yard * built-in storage area under deck * TWO car garage and a MULTI car driveway with PLENTY of parking * A MUST SEE!!" 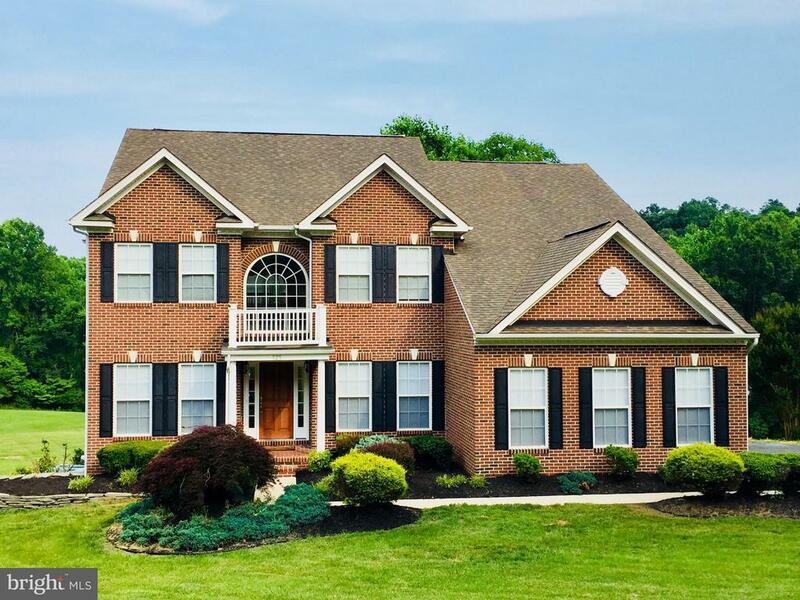 "WELCOME HOME TO THIS BEAUTIFUL STONE FRONT 5 BEDROOM, 4.5 BATH COLONIAL IN FALLSTON LOCATED IN A PRIVATE SETTING ON 3+ ACRES !! COVERED FRONT PORCH AND BEAUTIFULLY LANDSCAPED--WOODED LOT--LOVELY FOYER WITH ENTRY INTO THE LIVING ROOM AND DINING ROOM THAT FEATURE HARDWOOD FLOORS AND RECESSED LIGHTING-- GOURMET KITCHEN THAT HAS BEEN UPDATED WITH CERAMIC TILE, TILE BACKSPLASH, STAINLESS STEEL APPLIANCES, CENTER ISLAND, BREAKFAST BAR, GRANITE COUNTERS, RECESSED LIGHTS, ELECTRIC COOKING AND A SLIDING DOOR THAT LEADS TO LARGE DECK--FAMILY ROOM OFF KITCHEN WITH HARDWOOD FLOORS, CEILING FAN AND A GAS FIREPLACE--ENTRY LEVEL BEDROOM WITH HARDWOOD FLOORS--FULL BATH--SEPARATE MUD ROOM WITH TILE FLOORS--UPPER LEVEL FEATURES WALL TO WALL CARPET--SPACIOUS MASTER BEDROOM WITH VAULTED CEILING AND MASTER BATH WITH SOAKING TUB--WALK IN CLOSET--3 ADDITIONAL SPACIOUS BEDROOMS--FULL BATH--LOWER LEVEL PARTIALLY FINISHED BASEMENT WITH WALK OUT STAIRS FEATURES A LARGE RECREATION ROOM WITH LAMINATE FLOORS AND RECESSED LIGHTS AND AN EQUALLY SPACIOUS UNFINISHED STORAGE AREA--BONUS ROOM THAT COULD POTENTIALLY BE AN ADDITIONAL BEDROOM--ENJOY THE BEAUTIFUL WEATHER IN THIS OPEN BACK YARD THAT FEATURES A LARGE PATIO OFF THE DECK, ABOVE GROUND POOL AND A BACKYARD BBQ GRILL--PARTIALLY FENCED YARD--SHED--ATTACHED 2 CAR FRONT LOAD GARAGE AND DETACHED CARPORT--SHARED ASPHALT DRIVEWAY-DON'T MISS OUT, COME TAKE A LOOK!!" 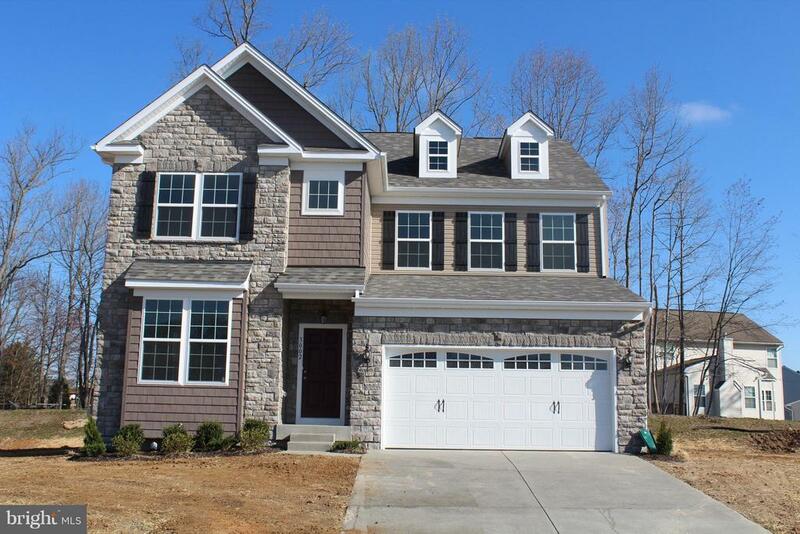 "Immediate Move-In Opportunity in the top selling New Construction community in highly sought after Fallston, MD. 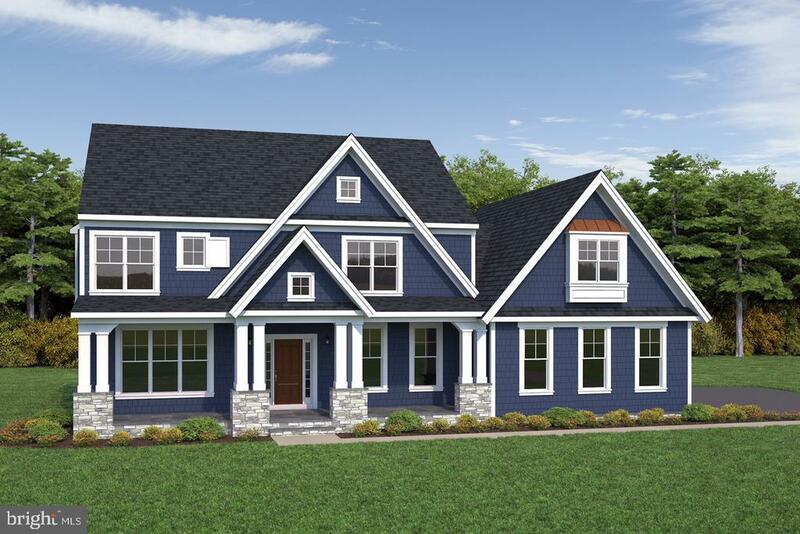 Available is our very popular Norwood home design with a Craftsman style front elevation featuring 2 car garage, 4 bedrooms, 3.5 baths hardwood flooring throughout the 1st floor, granite countertops in the kitchen and full bathrooms. Stainless steel kitchen appliances, gas stove, microwave, French door refrigerator / freezer.This home includes a morning room, dining room / study and a loft upstairs. All public utilities." 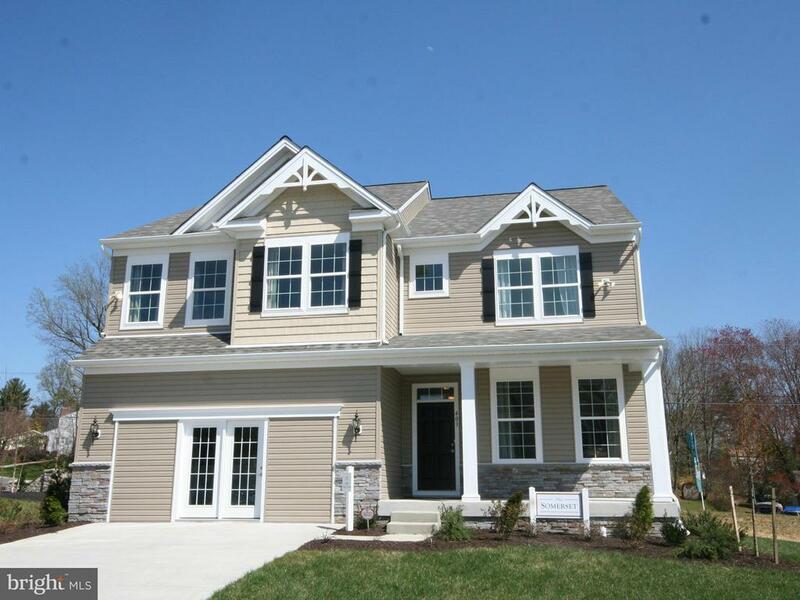 "Hamilton Reserve is located in highly desirable Fallston in Harford County with close proximity to Route I and I-95. These Fallston new homes at Hamilton Reserve offer easy access to shopping, recreation and top rated Harford County Schools. Nearby public amenities include ~Annie~s Playground~, which is a very large public park for children and Gunpowder Falls State Park that encompasses 15,000 acres and is home to the historic Jerusalem Mill Village, plus over 100 miles of trails for picnicking, hiking, biking, horseback riding, cross-country skiing, tubing, canoeing, kayaking, fishing, crabbing and hunting. Harford Mall is located just two miles away and includes many popular retailers. Bob Ward is offering their newest designs. Innovative and inspiring designs for the way you live today. The Somerset II is our original Somerset, only better. More square footage, larger closets and many more options to personalize your home. 4 bedrooms, 2.5 baths, a 2 car garage and unfinished basement for future expansion and plenty of storage." 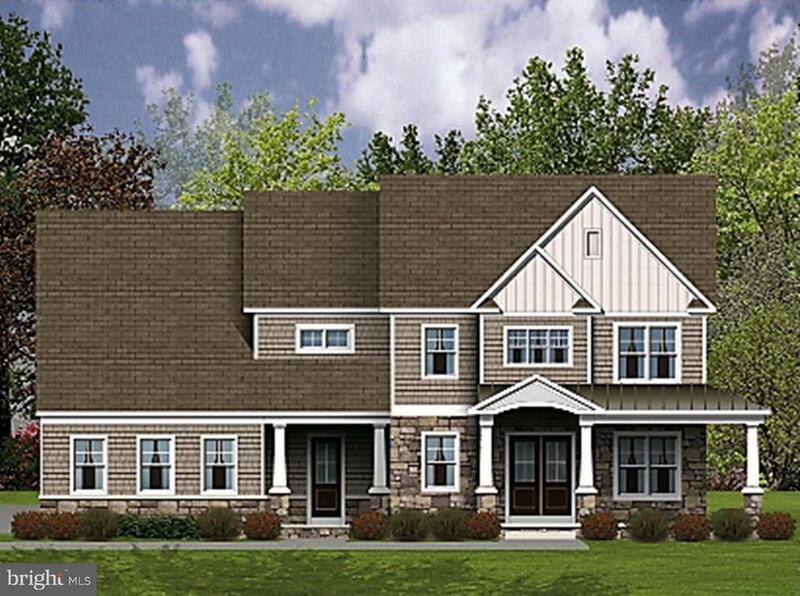 "To Be Built in Fallston's Premier Single Family community. The Franklin is our newest and most innovative plan. Formal living and dining areas, 1st floor den w/ an option to convert to a 5 the bedroom, 4 spacious bedrooms 2.5 baths, 2 car garage. One of our largest floor plans where each room flows effortlessly into the next. All Bob Ward homes are Energy Star Certified by a 3rd party inspector which ensures a comfortable and quality built home!! Selling offsite at our Blake's Legacy location in Bel Air 403 Altas Place." "TO BE BUILT!! Spectacular Design Perfect For Casual Living and Entertaining W/ Outdoor Living Space Which Enhances This Already Amazing Design. The Jasmine is one of Bob Ward's newest and most innovative plans, designed for the way you live....TODAY. Rooms flowing effortlessly into the next, plenty of natural light, spacious bedrooms and plenty of closet space. Granite Countertops, Stainless steel appliances and hardwood floors are just a few of the included features. All Bob Ward homes are Energy Star Certified by a 3rd party inspector which ensures a comfortable and quality built home!!" 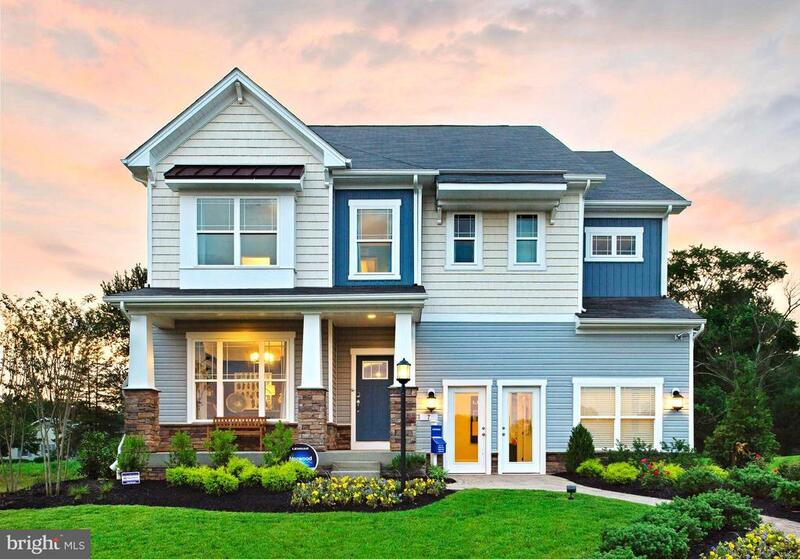 "Brand new community in Fallston TO BE BUILT.Hamilton Reserve is located in highly desirable Fallston in Harford County with close proximity to Route I and I-95. 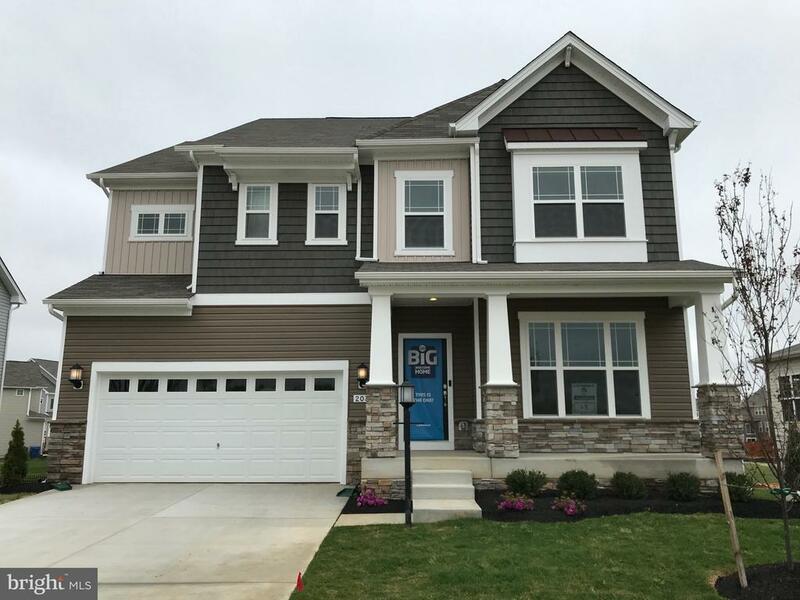 These Fallston new homes at Hamilton Reserve offer easy access to shopping, recreation and top rated Harford County Schools. The Augusta is one of our most popular plans featuring a flexible first floor plan designed for the way your live today. 4 bedrooms, 3.5 baths, 2-car garage aand a full unfinished basement perfec for future expansion. All Bob Ward homes are Energy Star Certified which ensures a comfortable and quality built home. Model home current under contruction. Currently selling off site at our Blakes Legacy community in Bel Air"